Grandma was visiting from Chicago and Lisa wanted to visit the outlet malls in St. Augustine. I asked Kellisa if she wanted to go shopping with mom and grandma or go out and have fun with dad. If she picked shopping, we wouldn't have a blog entry. To this point in time, Lisa did not allow me to take Kellisa kayaking...something to do with the 1,000,000+ alligators that call Florida home. Oh yeah, and they view kids as meals. Lisa asked what I had planned before leaving and I claimed I did not know yet. As soon as they were out the door and around the corner, I loaded the kayak on the roof and packed the Pilot with all the gear we would need for an afternoon of fun. We had to make a quick stop to buy Kellisa a PFD. I knew I was risking serious trouble, but I had kayaked 32 miles across the Okefenokee Swamp in Georgia and had several kayak trips to the Everglades on my resume. 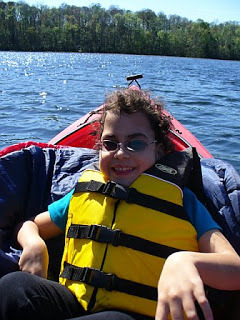 I was 100% confident in my ability to take Kellisa kayaking and return her home without serious incident. I selected Lake Oneida on the campus of UNF because I was familiar with the area due to hiking the trails surrounding the lake on several occasions. It was a small lake, so we would always be close to land. Plus, it was a popular campus with students always within shouting distance. 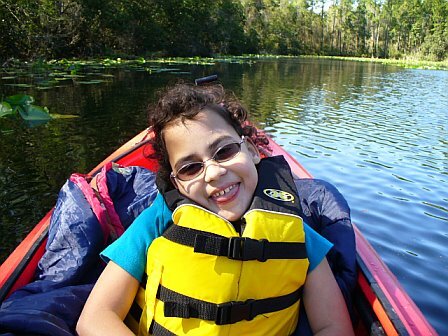 The hardest part of the trip was getting a 65# kayak, all the gear, and Kellisa in her travel wheelchair to the edge of the lake to start the adventure. 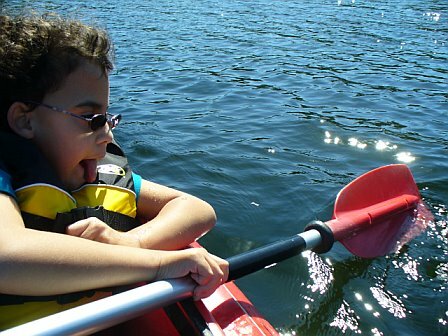 Not surprising, Kellisa absolutely loved kayaking! 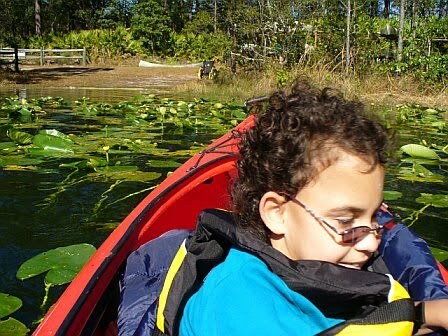 I was more worried about Kellisa losing her glasses than alligators. The water was clear and I scanned the area before allowing Kellisa to splash some water. We arrived home before mom and grandma. We even had time to unload and hide all the evidence. 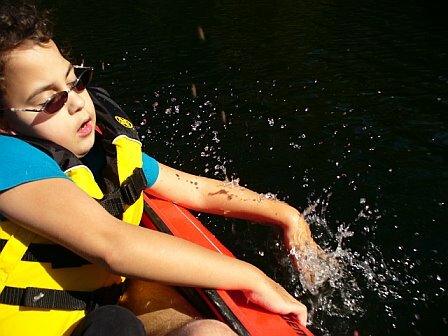 However, I wanted to share what we did that day hoping it would lead to more kayaking trips. When Lisa arrived home she asked what we had done. I answered with a slideshow and Lisa admitted that she knew I was going to take Kellisa kayaking. Being the ever supportive wife/mother...she did not stop or discourage me. When we got to the splashing picture, Lisa let me know her motherly concerns, "YOU LET HER PLAY IN THE WATER"!! !